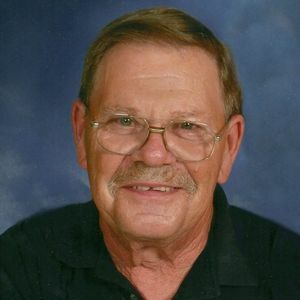 John L. Reis, 75, passed away March 28, 2019. His wife of 52 years, Connie Jo Reis, 72, passed away March 29, 2019. Both were residents of Anderson. They were dedicated members of St. Ambrose Catholic Church, both working for the church after their retirement. John retired from Delco-Remy after 32 years and then became the facility manager for the church. Connie Jo retired as an LPN before she was the religious education coordinator and pastoral assistant at the church. John was a U.S. Marine Corps veteran. John & Connie Jo are survived by their son, Timothy Reis (wife, Tricia Welsch) of Pendleton; daughter, Margaret Reis-Hastings (husband, Brian) of Chicago; daughter-in-law, Michelle Reis; nine grandchildren; one great granddaughter; and several nieces and nephews. They were preceded in death by their son, Patrick Reis; and granddaughter, Stephanie Marie Reis. John is survived by his siblings, Robert Reis, Jr (wife, Darlene), Susan Dullea, Sister Mary Frances Reis, Mary Jo Bies, & Cindy Eck (husband, Ted), all of St. Paul, MN. He was preceded in death by his parents, Robert & Gertrude (Snyder) Reis. Connie Jo is survived by her siblings, Timothy (wife, Lois) Kean & Kelly Kean, all of Anderson. She was preceded in death by her parents, Evelyn (Crouch) & Fred M. Kean Jr; brother, Fred M. Kean III; and sister, Marsha Kean. A Mass of Christian Burial will be at 11 a.m. Friday, April 5, at St. Ambrose Catholic Church, 2801 Lincoln Street, with Msgr. Robert Sell, lll officiating. Burial will be at Maplewood Cemetery, with military rites conducted by the Daleville American Legion Honor Guard. Visitation will be from 3-8 p.m. Thursday at Brown-Butz-Diedring Funeral Services & Crematory. Memorial contributions may be made to St. Vincent de Paul.